One of my favorite fashion commentary blogs is Go Fug Yourself. Their hilarious commentary makes celebrity and runway fashion even more hilarious and interesting than it already is. 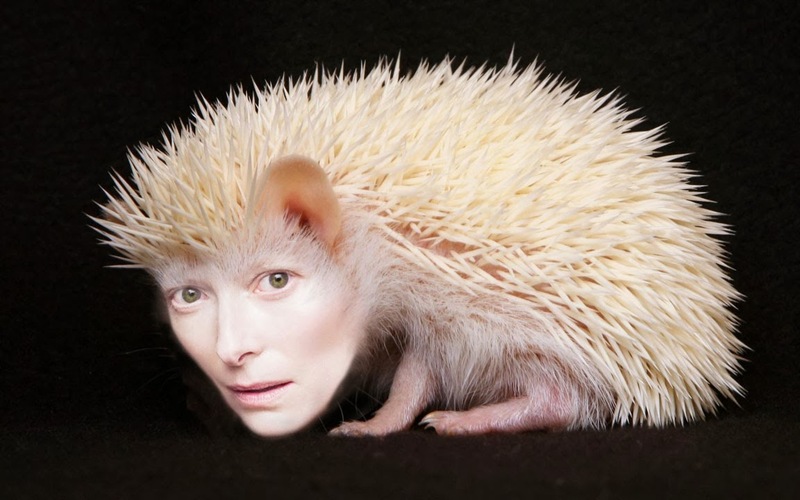 One of the Fug Girls' favorite celebrities, it would seem, is Tilda Swinton. 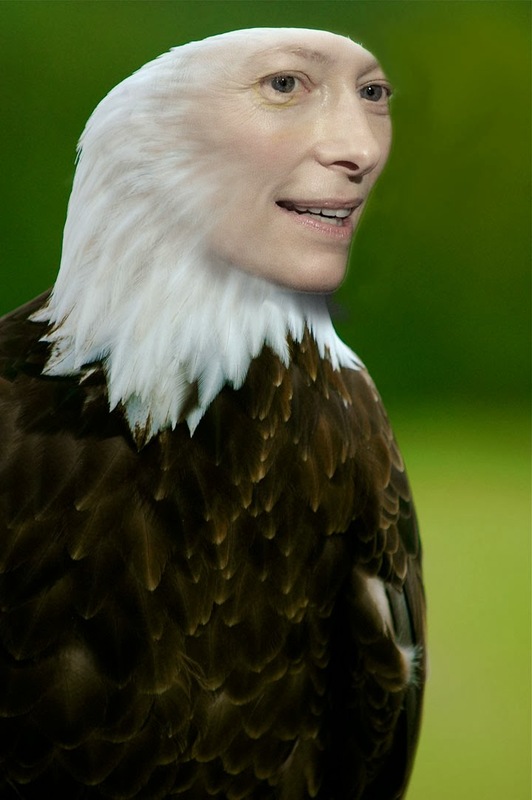 Now, I don't know about you, but I don't usually spend much time thinking about the ol' Swintonator. Sure, she knocked it out of the park in Moonrise Kingdom, but I somehow haven't seen that much of her work. Well, either that, or she's such an amazing actress that she's in a lot of things where I didn't realize she was the actress playing her particular role. Speaking of her changeability (we were speaking about that, right?) 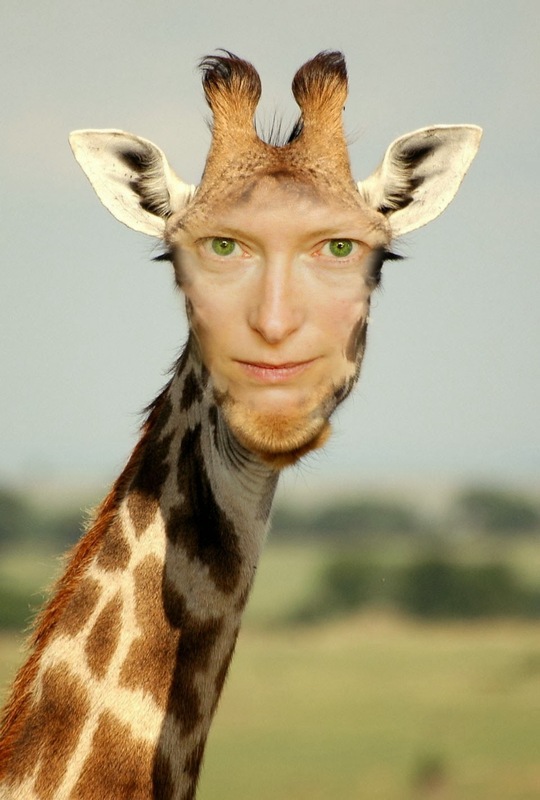 when I did last week's photoshoppery, I realized that Tilda Swinton looks like a great many different animals and is thus the perfect candidate for hybrids. 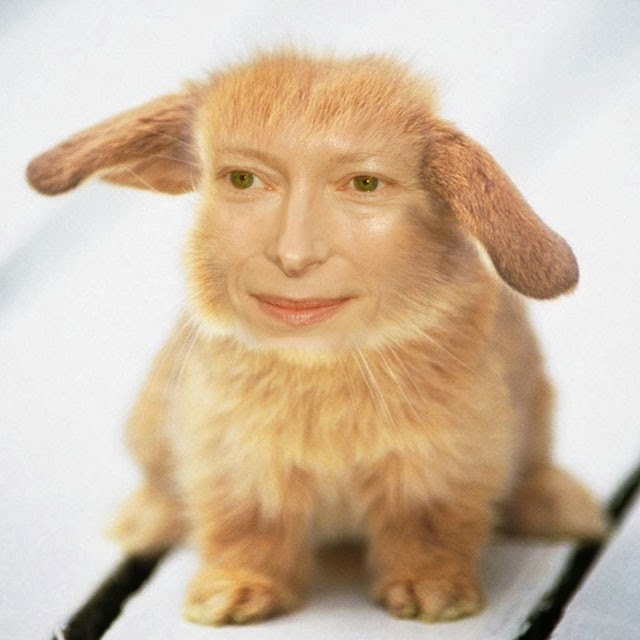 So, dear friends, I present to you all the Tildas you will need today. Ok, so my names weren't so great, but scroll back through and giggle anyway. 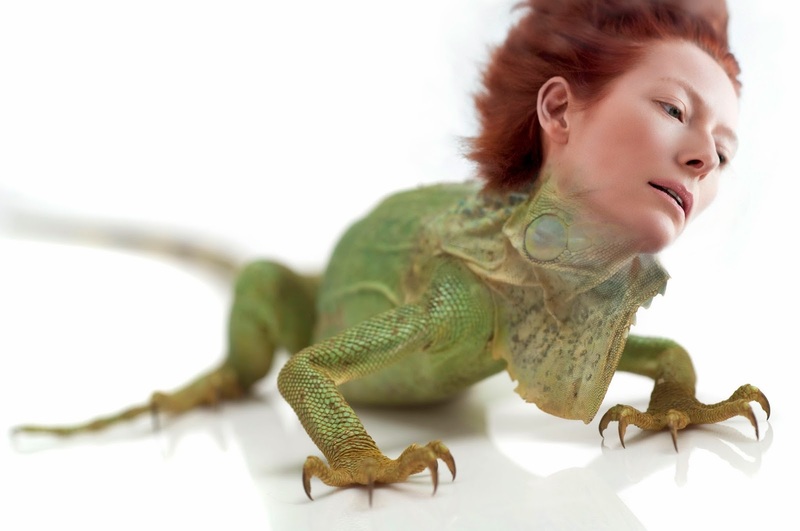 She does morph really easily into pretty much any animal.